Students and administrators from the Colton Joint Unified School District (CJUSD) and SunPower gathered Saturday at Grand Terrace High School in Southern California to celebrate the upcoming construction of the SunPower® HelixTM carport systems at 28 schools. Honored guests included Grand Terrace Mayor Darcy McNaboe and California State Assemblywoman Cheryl Brown, who presented both SunPower and the Colton school district with Certificates of Recognition for supporting California’s renewable energy goals. 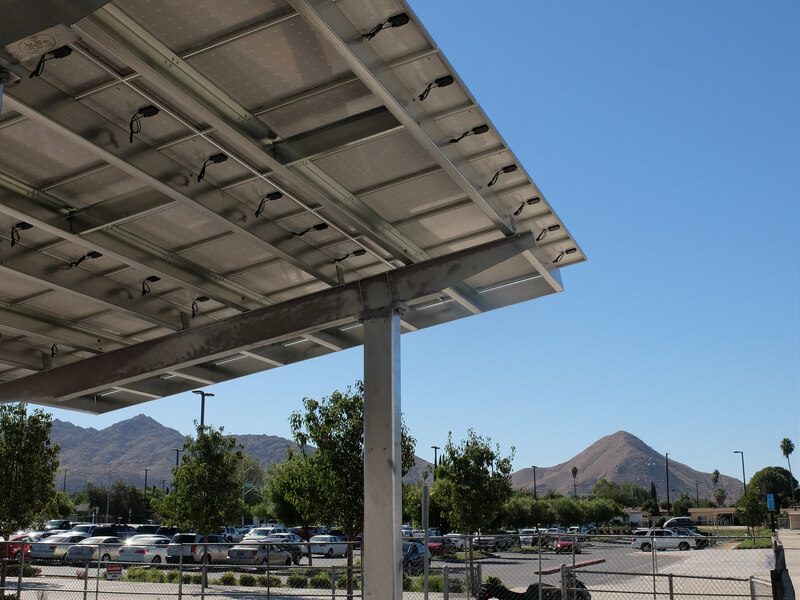 The Helix carport systems will generate approximately 6.1 megawatts (MW) of clean energy and are estimated to provide CJUSD with more than $35 million in electricity savings over the next 25 years. On completion, SunPower estimates that 73 percent of the district's electricity will be provided through the Helix carport systems. The school district will buy power at a competitive rate under a power purchase agreement (PPA) with SunPower and will own the renewable energy credits associated with the systems. The project also features two key elements of SunPower's Smart Energy product suite. SunPower will provide 1.1 MW of battery storage systems at seven schools. Intelligent storage can reduce demand charges that are based on monthly peak energy usage rates that can account for up to 70 percent of electricity costs. SunPower chose Stem — the leading provider of commercial-scale storage — to operate these systems. Stem’s software will control the systems to optimize the schools’ energy use by predicting and responding to the facilities’ energy patterns, solar production and electricity rates without disrupting operations. In addition to storage, SunPower will provide the battery systems under a no-money-down Battery Service Agreement that includes a guarantee of peak demand reductions. In addition to the batteries, SunPower will provide its EnergyLink™ Enterprise energy management software, giving the school system powerful insights about its energy use and providing accurate reporting about financial savings from SunPower's solar and storage systems.